No so much a book review as an Author review. Heidi and I have really enjoyed his books. 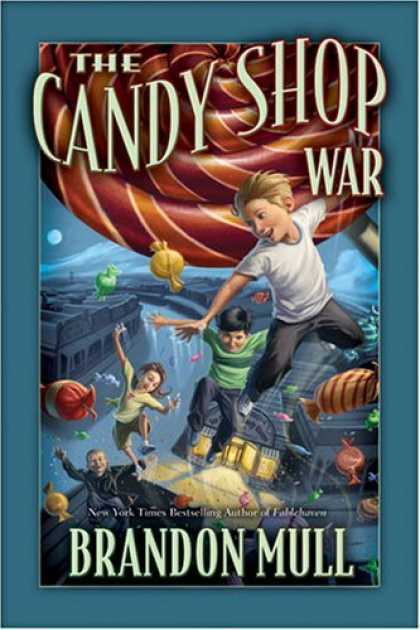 The candy shop wars is perfect for little kids that love candy. As in all little kids. It's set in the shadow of Mt. Diablo. 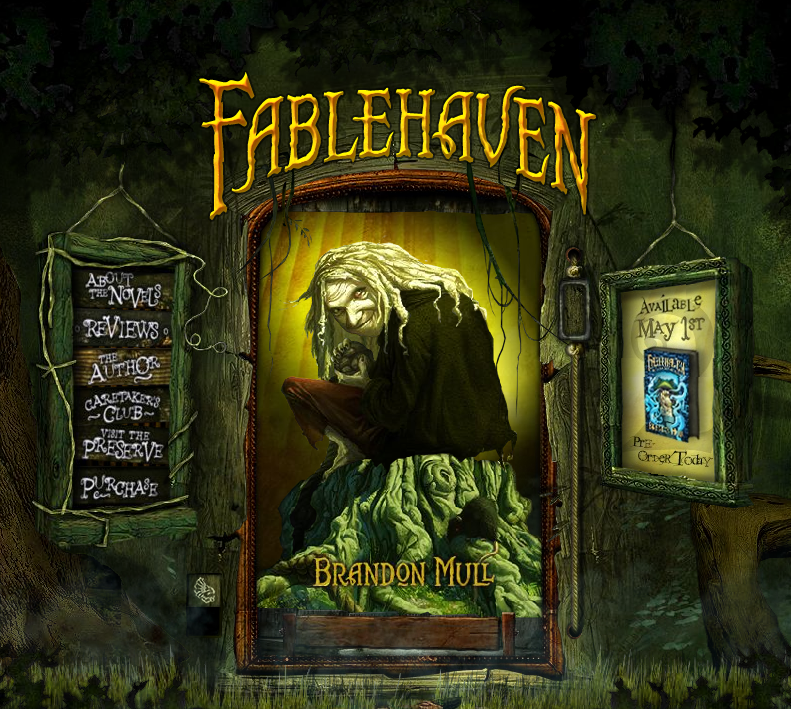 4 kids discover a magical candy shop and adventure follows. Its a 2-4 day read depending on how much time you have in the evening. Our boys' attention span isn't up to a book with out pictures yet but it is definitly on our family list of books to read to our kids. I picked up "Fablehaven" in 2005 and really enjoyed it. Heidi picked it up a year or two back and we got to the point where we were anxiously waiting for the sequels to come out. Book 5 (the final book) had us reading into the wee hours of the night. A brother and a sister discover that their granparents are care takers of a haven for magical creaturs; Satyrs, fairies, golems, trolls and some many others. It's your basic stop the bad guys before they take over the world but the imagery and "twists" are very fun. They draw upon the imagination that exists in all children and many of us "grown ups". I hope some of you pick them up and tell me what you think. 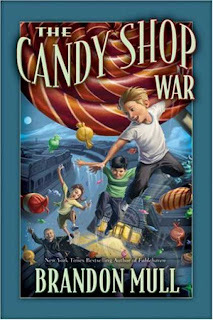 Start with "The Candy Shop Wars" since it is a very small investment in time and stands alone. Anyone with kids or anyone that remembers what it was like being a child will love them because its every kids dream to discover treasure, magic candy and have adventures. I am not much into foreign films but this one is amazing. As a history nerd it is my opinion that Emperor Jallaludin Mohammad Akbar was one of the greatest rulers this world has ever seen. He unified most of India and he was known as a great warrior and a merciful ruler. This is the story of him and his first wife, a Hindu woman who was the princess of the Amer region. Hindu tradition states that it was the people who gave him the title of Akbar which means "the great" after he instilled laws that allowed for greater equality among Hindus and Muslims. The romance is not heavy handed, it is something you could watch sitting next to your father. There is some battlefield violence so I would not recommend watching the battle scenes with children, the musical sequences however will make anyone want to dance. The sword fighting sequences are extremely well done (the Amer province was famous for their duelists) and most of it is correct according to tradition. It is a movie full of color, emotion, and history. However, if you do not like watching movies that need subtitles this movie is not for you since it is entirely in Hindi. For two of my favorite scenes follow these two links. They don't have subtitles but that doesn't matter. 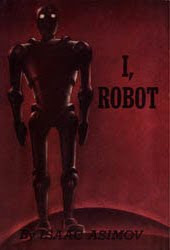 I recently read the original version of I, Robot, and found it quite interesting. At a time in the not too distant future human kind has created sentient life with a positronic brain capable of amazing things. Robots are banned from earth but serve many purposes abroad. I found it a much more interesting and stimulating story than the one the movie portrayed. Quite different in fact, but very enjoyable. I would recommend it as a quick science fiction read. So I saw this cool solar system necklace the other day so I decided to make Sarah one. It's roughly to scale each bead being 10 or 100 million miles. The beads are made of painted burl wood. I felt bad painting the burl but it turned out pretty good. I tried silver wire for Saturn's rings but couldn't get it to look good so I settled for a burl ring there. The cheesy coolness of this necklace is the absence of the sun, it being the wearer, the light of my life, the center of my solar system, Sarah.